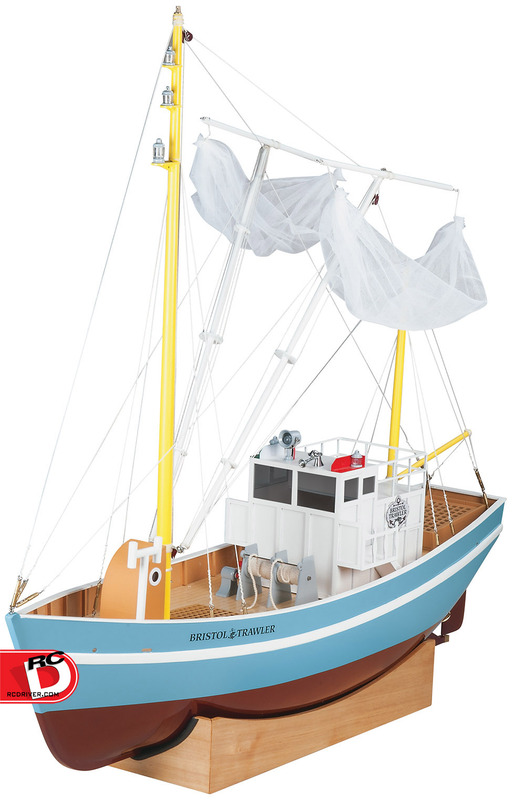 The Bristol Trawler is well detailed for an authentic look that is sure to please. It has a painted fiberglass hull with rigged masts and comes standard with a TTX490 4-channel radio with TR400 receiver, a 30-amp LiPo compatible speed control and 550 sized motor. Add AA batteries for the transmitter and a 3S LiPo battery and be ready for some fun.